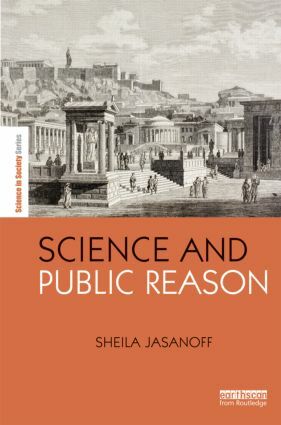 This collection of essays by Sheila Jasanoff explores how democratic governments construct public reason, that is, the forms of evidence and argument used in making state decisions accountable to citizens. The term public reason as used here is not simply a matter of deploying principled arguments that respect the norms of democratic deliberation. Jasanoff investigates what states do in practice when they claim to be reasoning in the public interest. Reason, from this perspective, comprises the institutional practices, discourses, techniques and instruments through which governments claim legitimacy in an era of potentially unbounded risks—physical, political, and moral. Those legitimating efforts, in turn, depend on citizens’ acceptance of the forms of reasoning that governments offer. Included here therefore is an inquiry into the conditions that lead citizens of democratic societies to accept policy justification as being reasonable. These modes of public knowing, or “civic epistemologies,” are integral to the constitution of contemporary political cultures. Methodologically, the book is grounded in the field of Science and Technology Studies (STS). It uses in-depth qualitative studies of legal and political practices to shed light on divergent cross-cultural constructions of public reason and the reasoning political subject. The collection as a whole contributes to democratic theory, legal studies, comparative politics, geography, and ethnographies of modernity, as well as STS. Sheila Jasanoff is Pforzheimer Professor of Science and Technology Studies at Harvard University’s John F. Kennedy School of Government. A pioneer in legal and political studies of science and technology, she has written many widely cited articles and chapters and is author or editor of a dozen books, including The Fifth Branch (Harvard University Press), Science at the Bar (Harvard University Press), and Designs on Nature (Princeton University Press).